Gangneung (South Korea) – March 9, 2018 (travelindex.com) – The Pacific Asia Travel Association (PATA) is proud to announce that former Secretary General of the United Nations, H.E. 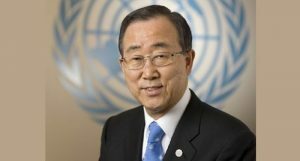 Mr. Ban Ki-moon, is set to be the opening keynote speaker at the PATA Annual Summit 2018 (PAS 2018). The event, generously hosted by the Korea Tourism Organization (KTO) and Gangwon Province, will take place from May 17-20 at the Lakai SANDPINE in Gangneung, Korea (ROK). PAS 2018, under the theme ‘Building Bridges, Connecting People: How Collaboration Creates Opportunities’, is a 4-day event that brings together international thought leaders and industry professionals that are professionally engaged with the Asia Pacific Region. The Annual Summit programme embraces a dynamic one-day conference that will examine the various connections that are helping to shape the industry as we move towards a more exponential future, bringing together a diverse line-up on international thought leaders, industry shapers, and senior decision-makers. The one-day conference is followed by the half-day UNWTO/PATA Leaders Debate, where tourism leaders from both the public and private sector will come together to discuss the issues, challenges and opportunities facing the industry. The Honourable Edmund Bartlett, C.D., M.P., Minister of Tourism of Jamaica, has confirmed his participation at the debate. Before the conference, the Association also provides the opportunity for students and young professionals to engage with industry leaders at the PATA Youth Symposium. A primary focus of the Association’s Human Capital Development programme is upon the development of the ‘Young Tourism Professional’ (YTP) and the symposium highlights PATA’s commitment to this endeavour. Other confirmed speakers during the event include Adrienne Lee, Director of Development, Planeterra Foundation; Alistair McEwan, Senior Vice President, Commercial Development Asia & ANZ, BBC World News; Amy Kunrojpanya, Director of Communications, Asia Pacific, Uber; Dr. Chris Bottrill, Vice Chairman of PATA and Dean of Global and Community Studies, School of Tourism Management, Capilano University; Ambassador Dho Young-shim, Chairperson of UNWTO ST-EP Foundation; Edward Chen, Co-founder and Chief Marketing Officer, oBike; Faeez Fadhlillah, PATA Face of the Future 2017 and CEO and Co-founder of Tripfez; Kyle Sandilands, Director and Cinematographer; Michelle Kristy, Associate Expert-Women and Trade Programme Sustainable and Inclusive Value Chains Section, SheTrades; Pai-Somsak Boonkam, CEO & Founder, LocalAlike; Raya Bidshahri, Founder & Chief Executive Officer, Awecademy, and Vinoop Goel, Regional Director-Airport, Passenger, Cargo & Security Asia Pacific, IATA. The event will explore various topics including ‘Connecting Communities: Harmonising Local Interests with Global Sustainability in Tourism Development’, ‘A case study of Korean local tourism development’, ‘Designing Intermodal Connectivity for Destination Competitiveness’, ‘Connecting Generations’, ‘Bridging the Gender Gap’, ‘The New Way to Connect’ and ‘The Human Touch in a Digital Marketing World’. Delegates attending the event will experience the diverse landscapes of Gangneung, Korea’s best all-year-round destination. A popular destination among locals, Gangneung combines the white sandy beaches that stretch across the East Coast with the misty peaks of the Taebaek Mountains, also referred to as the spine of the Korean Peninsula. It is expected to have perfect weather with an average temperature of 20 degrees Celsius during the event. Serving as the location setting for popular Korean drama, Gangneung is gaining traction as a destination for fans of the Korean Wave, or ‘Hallyu’. The city boasts a unique cultural heritage – the Gangneung Danoje Festival serves to preserve the folk culture of the Joseon Dynasty, and has been UNESCO-designated as a Masterpiece of the Oral and Intangible Heritage of Humanity. Gangneung also co-hosted the Olympic Winter Games PyeongChang 2018, along with the cities of PyeongChang and Jeongseon. Registered delegates for the conference also receive complimentary access to the PATA/UNWTO Leaders Debate on Saturday, May 19. For more information or to register for the event visit www.PATA.org/pas or email events@PATA.org.